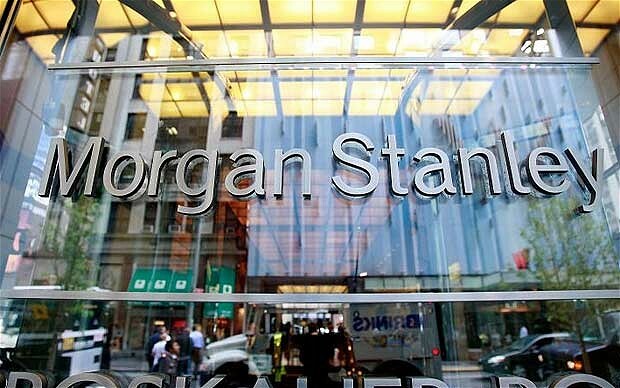 Despite the growth in the performance of investment funds during the first quarter (Q1) of this year, the volume of assets continued to decline for the second year in a row, to lose roughly EGP 981m, because of the continued losses of the money market and fixed income funds affiliated to banks to reduce the managed assets by 3.3%, which registered EGP 28.35bn in 101 funds as of 31 March, compared to EGP 29.3bn on 31 December 2016 in 99 funds. In this period, AAIB Guard Capital Fund joined the market to protect the capital that belongs to the Arab African International Bank (AAIB), the bank’s assets represent EGP 44.2m, in addition to Etm’nan Fund of the National Bank of Abu Dhabi (NBAD), managed by HC company. Furthermore, Barclays Bank Money Market Fund, which is managed by Beltone Corporation, held assets of EGP 178.05bn. 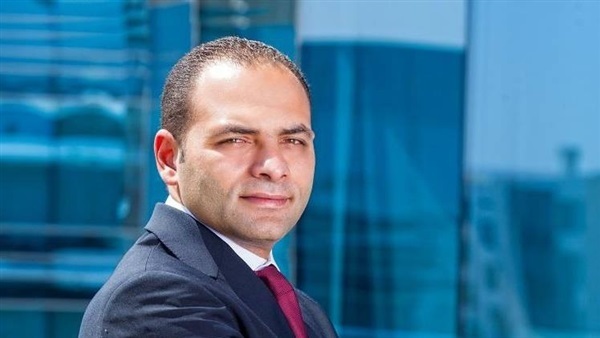 Amr Abol-Enein, the managing director of CI Assets Management, said that money market funds have been suffering over the past three years because of the Central Bank of Egypt’s (CBE) decisions that limited the size of the fixed income and of money market funds, which lost EGP 50bn during that period. He pointed to the importance of money market funds as a financing tool to activate the secondary market for bonds and treasury bills, as they also cover the needs of companies and investors wishing to invest their money in a tool with a competitive yield and flexibility of entry and exit to and from the market. Abol-Enein said that the significant deceleration in the volume of assets managed by asset management companies indicates a growth in the managed assets of most of the funds during the second quarter of this year, despite the weakness of the marketing operations by the private fund owners, especially banks and insurance companies. He revealed that his company is managing the Arab International Bank (AIB) Hilal Fund, as well as having entered negotiations with the bank to establish a new investment fund. He also stressed that the coming period will see more concentration on portfolio management activities to reach a volume of managed assets of EGP 10bn by the end of 2017. 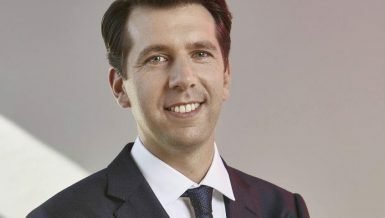 Abol-Enein added that the insurance companies did not take advantage of the CBE decisions that limited the growth of the money market and fixed income funds to exploit the surplus funds agreed over the last three years due to weak marketing operations for this important tool. Assets of 28 money market funds declined by 2.93% by the end Q1 of this year to reach a total asset volume of EGP 22.8bn, compared to EGP 23.4bn by the end of 2016. Assets of fixed income funds decreased by 8.96% on a quarterly basis that registered EGP 1.824bn, while equity funds assets continued to grow for the third quarter in a row, unlike the other types of funds, which recorded a 2.1% ratio and registered EGP 1.3bn, compared to EGP 1.2bn by the end of 2016. Although the EGX20 index rose during Q1 only by roughly 0.8%; perhaps the purchasing of bonds in that period came in light of the exceptional performance recorded by the stock exchange following the flotation of the pound in November and December. The assets of Islamic funds declined by 3.98% during the first quarter and registered EGP 1.074bn compared to EGP 1.11bn year-on-year. Assets of asset allocator funds declined by 34.7% during the first quarter of 2017 and registered EGP 61.7m in 2017 compared to EGP 94.6m by the end of 2016 through SAIB bank’s fund. Entry of guard asset funds raised the assets of the capital protection funds by 245%, despite the decline in assets of the fund managed by CI Asset Management by 2.15% during the first quarter. The National Bank of Kuwait’s (NBK) Namaa Fund grew 34.7% with assets of EGP 15.10m, compared to EGP 11.2bn under the management of NBK Capital Asset Management Egypt, followed by the Suez Canal Bank Fund II (Al Agyal) that is managed by Beltone Asset Management that increased by 21% to EGP 17.9m compared to EGP 14.8m at the end of 2016. Tadawul Fund of the Qatar National Bank (QNB) rose by 14.1% to reach EGP 16.3m, compared to EGP 14.3m under the management of HC. The Arab Banking Corporation (ABC) Fund, managed by Rasmala Egypt Asset Management, came in fourth place, recording an increase of 10.7%, registering EGP 30.5m, compared to EGP 27.5m. It was followed by Banque du Caire Fund, managed by EFG Hermes, with an increase of 9.4%, recording EGP 95.6m, compared to EGP 87.3m. The assets of Pioneers Fund 1, managed by Amwal Financial Investment, rose by 7.9%, recording EGP 9.7m compared to EGP 9.01m. On the other hand, Commercial International Bank Fund 2 “Istithmar”, managed by CI Capital Asset Management, fell by 9.9%, reaching EGP 92.2m compared to EGP 102.5m. It was followed by the National Bank of Egypt Fund 3, managed by HC Asset Management, which dropped 8.4% to reach EGP 45.8m compared to EGP 50.01m. Blom Group Fund, managed by Prime Investment, fell by 5.6% to reach EGP 18.5m compared to EGP 19.6m. It was followed by Beltone Fund, managed by SIGMA, which declined by 3.05%. The Pharos Fund 1 and Banque Misr Fund 2 decreased by 2.9% and 2.6%, respectively. Ahmed Abu Al-Saad, chairperson of Rasmala Egypt, said that the recent boom in the Egyptian stock market has boosted the assets of the equity funds, unlike other types of investment funds, despite the fact that there were recoveries after the equity funds achieved a return of 80%. Abu Al-Saad disclosed that the volume of assets managed by his company has increased to EGP 6.5bn at the end of last year. 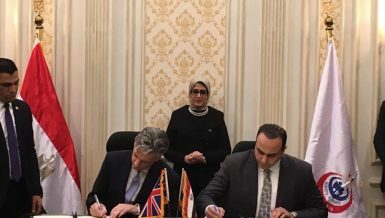 He added that they aim to increase it to EGP 7.5bn in 2017. The assets of 22 cash funds have shrunk, though the growth of NBE Fund 4 and Ishraq Fund reduced the total decline in assets to 2.9% recording EGP 22.8bn on 31 March, compared to EGP 23.4bn at the end of 2016. The assets of only six funds witnessed increases, notably the NBE Fund 4 which grew by 29.9% to reach EGP 6.7bn compared to EGP 5.2bn, followed by Ishraq Fund, affiliated to the National Bank of Kuwait (NBK) and managed by NBK Capital, which increased by 13.6% recording EGP 531.7m compared to EGP 467.8m. The assets of Banque du Caire Second Money Fund rose by 3.3%, recording EGP 1.44bn compared to EGP 1.40bn, under the management of Misr Beltone Asset Management. It was followed by the Arab African Money Fund which grew by 2.5% to reach EGP 704.3m compared to EGP 686.9m. Yumati Fund affiliated to the Arab Bank rose by 0.94% to record EGP 366m compared to EGP 363m, under the management of Beltone. Meanwhile, the Egyptian Gulf Bank Fund Tharaa dropped 70.6% to reach EGP 109.3m compared to EGP 372m, under the management of Prime Investments. 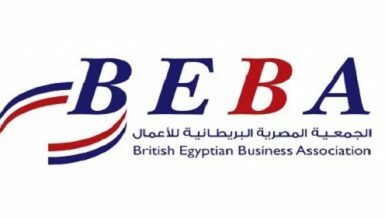 It was followed by the Arab Banking Corporation (ABC) Fund which lost 63% to reach EGP 44.6m compared to EGP 122.9m, under the management of Beltone. The assets of Audi Money Fund declined by 45% reaching EGP 167.9m compared to EGP 306.06m, under the management of Hermes, The Alexandria Bank Fund 2, managed by Hermes, also fell by 43% to record net assets of EGP 466m compared to EGP 827.6m. The NBK Fund declined by 37%, Mawared Fund by 27%, and Themar Fund by 23% . 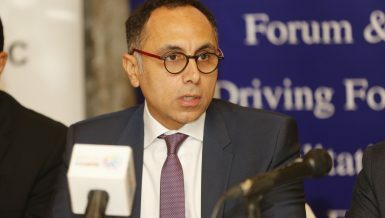 Ahmed Shalaby, director of investment at Cairo Fund Management, attributed the decline in the volume of assets and fixed income funds in Egypt to the decisions made by the CBE, limiting the assets of money funds to 2.5% of deposits, in addition to the increase in the interest rate, which affected the investment feasibility of funds. He pointed out that many institutions and banks, namely the Egyptian Post, are struggling to provide liquidity, as a result of the individuals’ tendency to withdraw their savings and direct them into investment portfolios with attractive yields, such as certificates with a return of 20%. 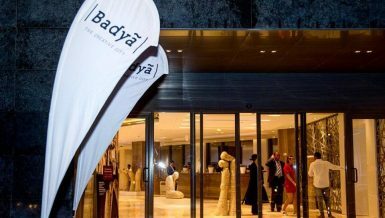 Shalaby added that the volume of investments in his company’s portfolios increased by 55.5% to reach EGP 3.5bn after the flotation of pound, compared to EGP 2.25bn before the flotation. He noted that the banks started recently to re-establish control over the management of their investment funds to reduce the costs and commissions obtained by the fund management companies. Those banks tend to establish subsidiaries specialised in the management of investment funds.